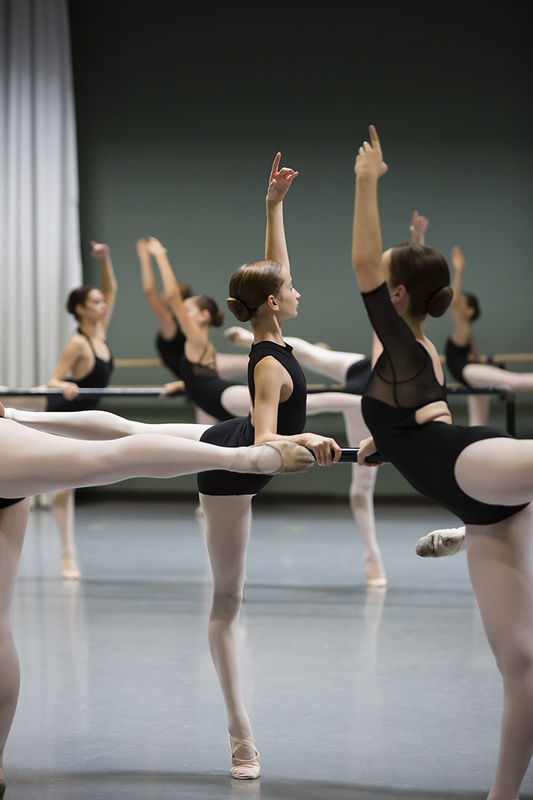 Students in class at The School of Ballet Arizona’s Summer Intensive. Photo by Brianne Bland. You’ve worked hard to get to where you are. Every late night. Every sore muscle. It all comes down to that precious moment when you walk into the studio and take your place at the barre for your audition. Preparing for a ballet audition can often feel overwhelming. The daily grind can take a toll on your body, mind, and spirit. If you’ve been to an audition before, you probably have a pre-audition ritual that allows you to get in the zone. For those who are preparing for their first ballet audition, we asked some tips on how to nail your audition as well as some advice from a few of our company dancers! First and foremost make sure you have everything you need – this starts with doing your homework by checking the school or company’s website. Some auditions require you to bring a résumé and photos, like a headshot or one in a basic position like an arabesque, so be prepared and show up with everything in hand. We also suggest you bring an extra pair of tights and a leotard for those emergency moments – no one wants a hole in their tights! For ladies, be sure to check if you will be en pointe and bring an extra pair of pointe shoes if you can. Lastly, show up to the audition with enough time to register and warm up! A huge part of nailing your audition relies on you feeling calm, confident, and ready to go, you won’t want to head into the studio feeling frazzled. But most importantly, breathe! Remember you have spent years training, so take a deep breath and trust in your training. P.S. ALWAYS say thank you to the instructor and the pianist when the audition is over! The audition is over, so now what? Depending on the school or company, you will find out whether you have been selected at the end of class or a couple days later. If you have been selected, congratulations! If you have not, don’t let this defeat you and remember that this is only one chapter of your ballet story. Embrace this moment as a learning opportunity and take the time to reflect on what you need to work on for your next audition. Most importantly, whether or not you were accepted, be cognizant of others in the studio and be kind and graceful. If you are excited and full of energy celebrate your achievement – this is an exciting time! If you are feeling upset wait till you get home to let out your frustration in a healthy way. Trust us, we’ve all been there. What happens if you get multiple offers? This can feel a little daunting since you want to make the right choice. We suggest talking with your teachers, a mentor, your parents, and your fellow dancers for advice. Also do some research, whether that’s reading reviews on past summer intensive experiences, or looking up a company’s repertoire and opportunities. Just remember, there are so many different programs and companies across the country, so make sure you are following what feels right for you! Checking out Summer Intensives to attend? 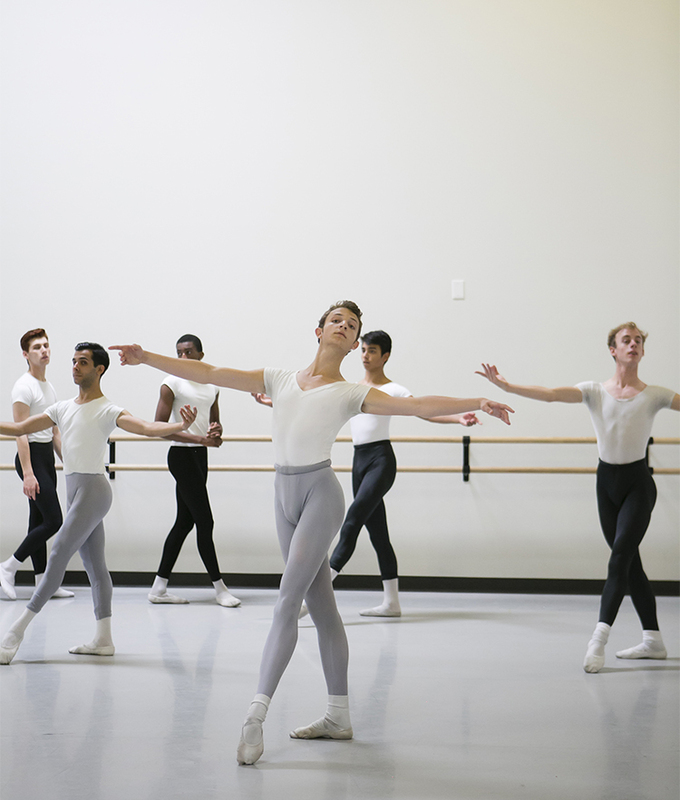 Click here to check out The School of Ballet Arizona’s Summer Intensive Tour! Interested in auditioning for Ballet Arizona? Click here for our Open Audition times & dates! Spring Arts Calendar: Best Live Performances Coming Up This Year Are You A Bunhead?